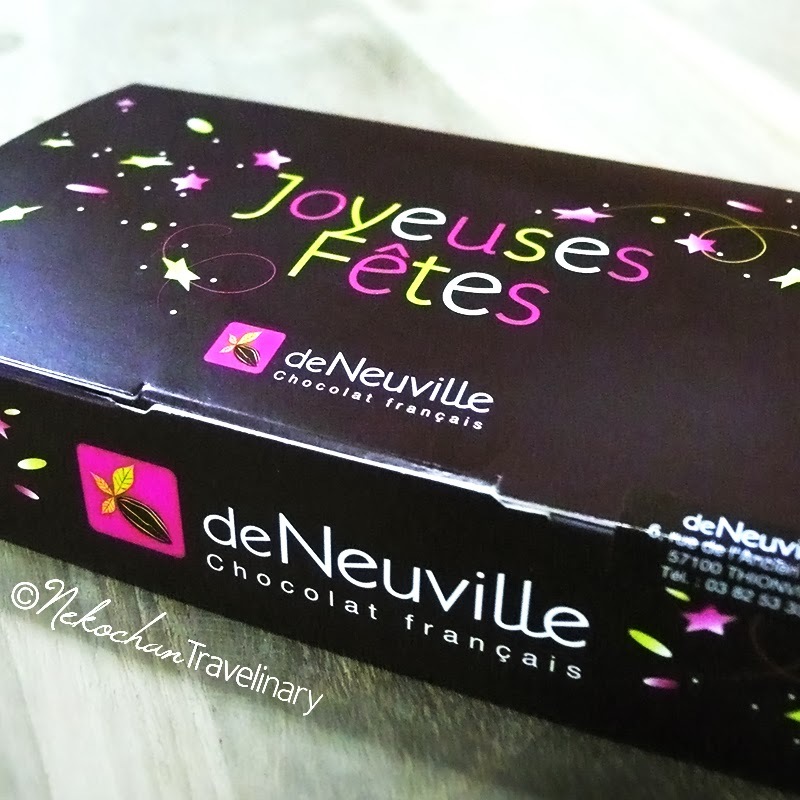 New year 2014, my boss brought us chocolate from his hometown, France. 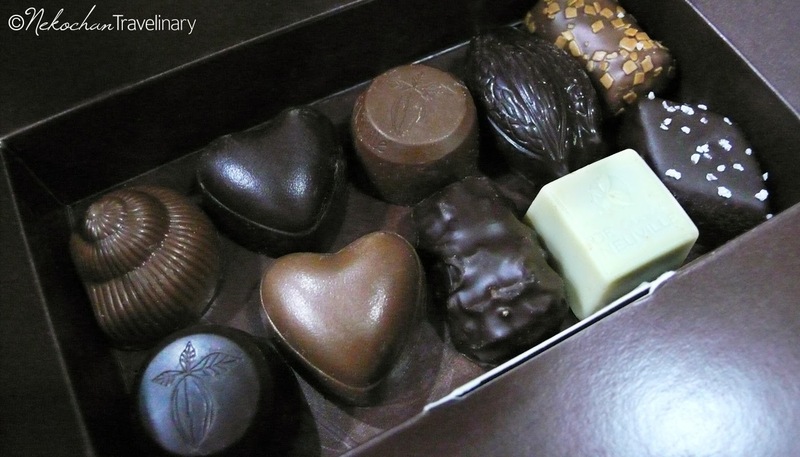 This year was a bit special than before, now he gave a box of chocolate for each of us! Hey, seemed it's a special edition box! Joyeuses Fêtes on its top means "joyous celebrations"… yeah, bet this was for X'mas and New Year. I like their special edition packaging that delivers the festive theme in a good way. 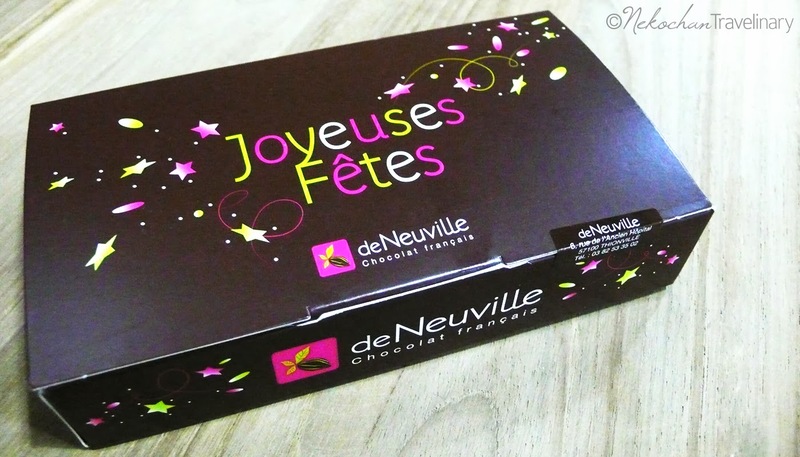 This box were successfully look fascinating with simple-tricolor graphics and title. Now it's time to open the box, and I found this "logo" on its inside flap. Thanks to Google Translate, so I know this was a statement of quality. 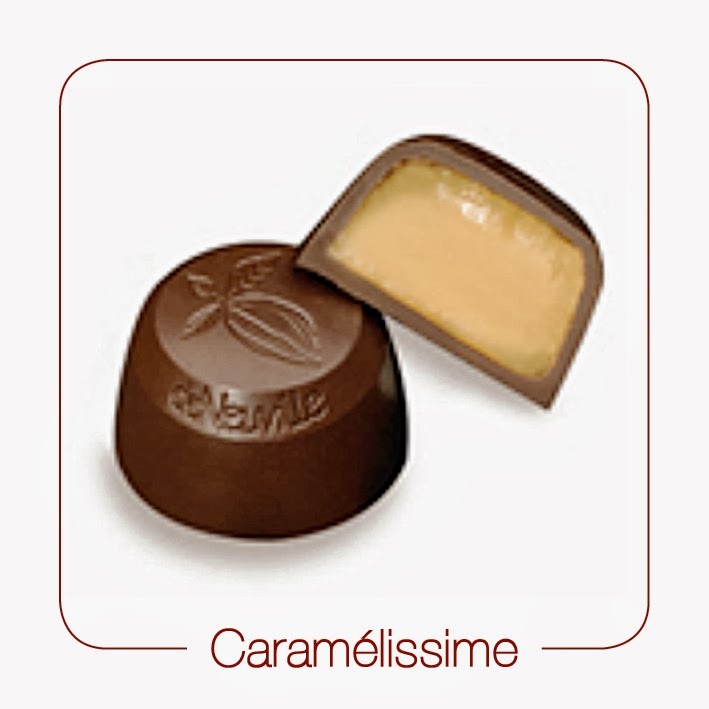 Chocolat pur beurre de cacao means "pure cocoa butter chocolate". 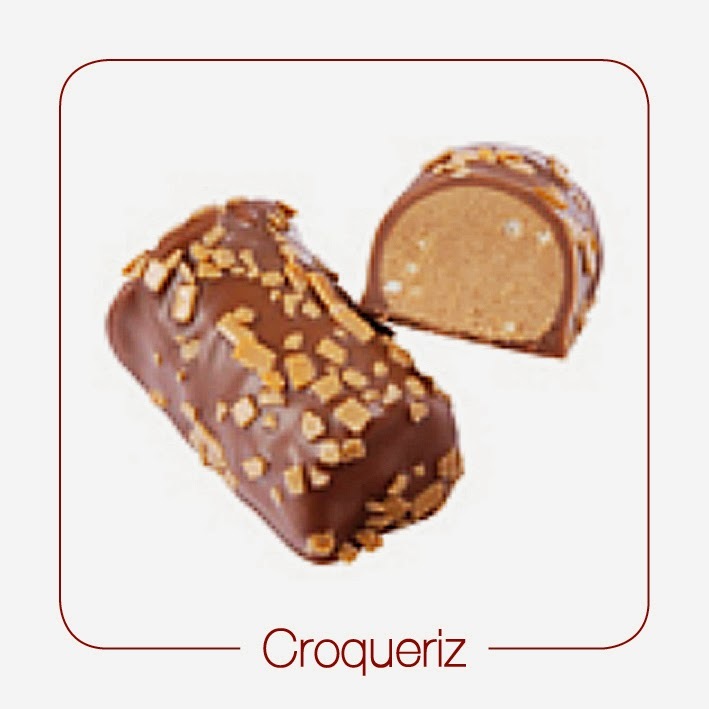 Pleasure for a chocolate lover! 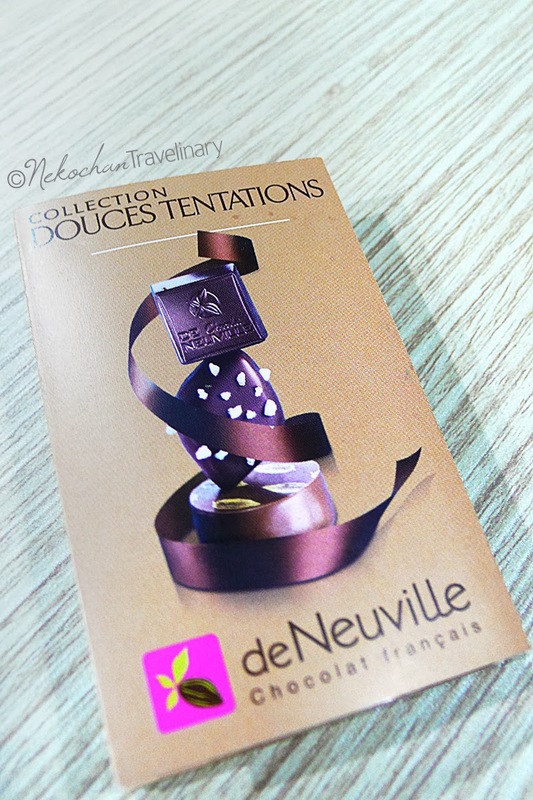 The package also comes with a harmonica-shaped brochure contains de Neuville's collections. There are more than 40 mouthwatering variants available in their shop, and I really really reallllyyy want to try them all. One day I will! The brochure and web are all in French language, but once again thanks to google translate that helped me to read in French instantly. C'est magique! And finally… real treasure inside this 'lil box! 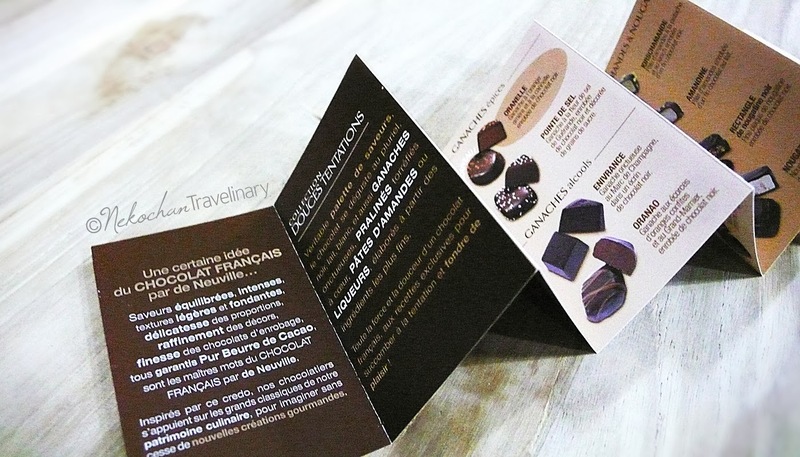 I grabbed this detailed pics from their website www.chocolatsdeneuvillenice.fr as I couldn't take their close up photograph by myself. Believe me, they were not in a good 'look' after an overseas journey from France to Indonesia. 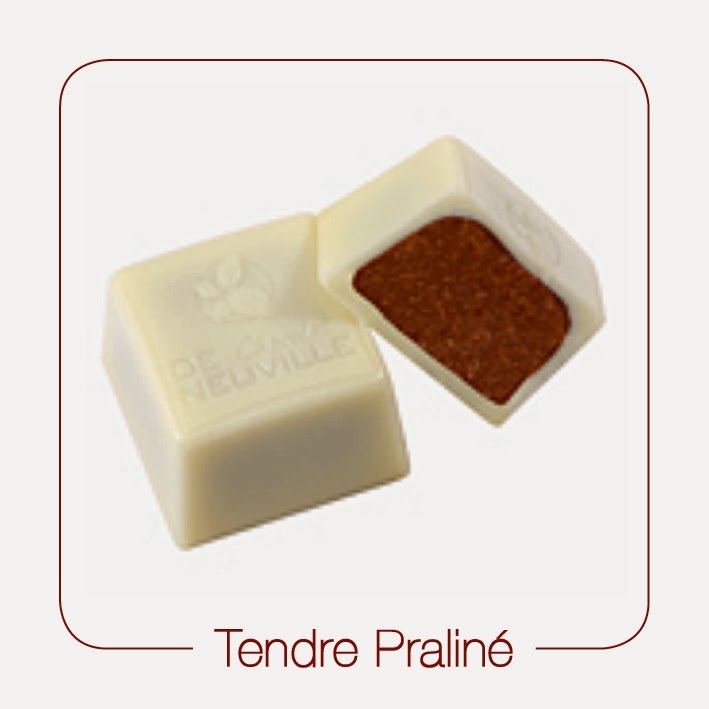 Praline almonds and hazelnuts in a green white chocolate - A bit beyond my expectation, this white chocolate praline was not too sweet! Maybe -just maybe- bcoz it's a "green white chocolate" as mentioned in their description. 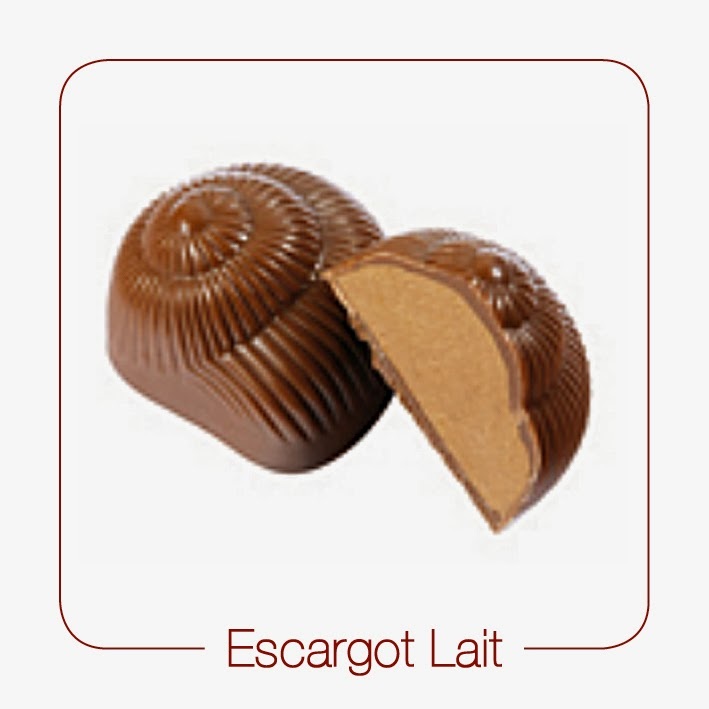 Its filling had a hint of hazelnut taste that match perfectly with white chocolate. 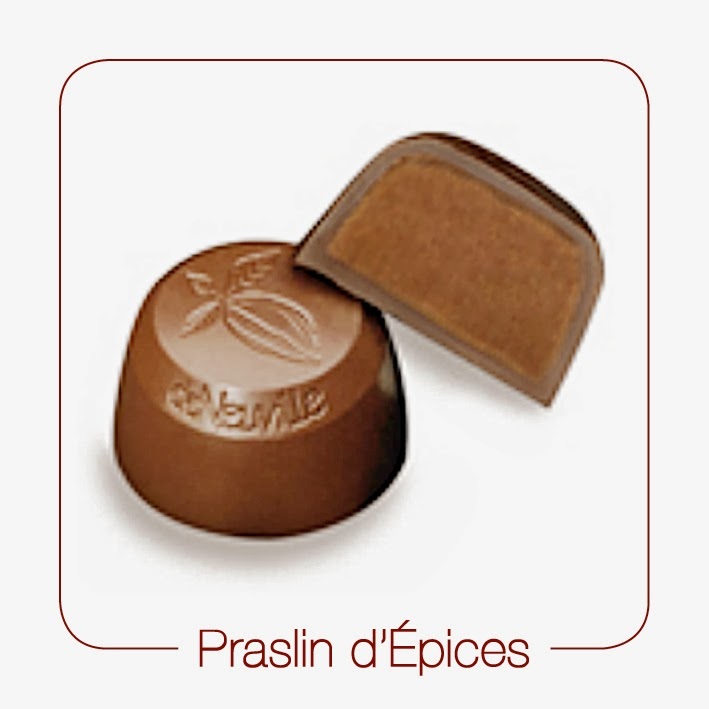 Toasted hazelnut and almond praline in a milk chocolate shell - Surprise to know (from the description) that it contained hazelnut, bcoz I hand't taste it. I only noticed sweetness. 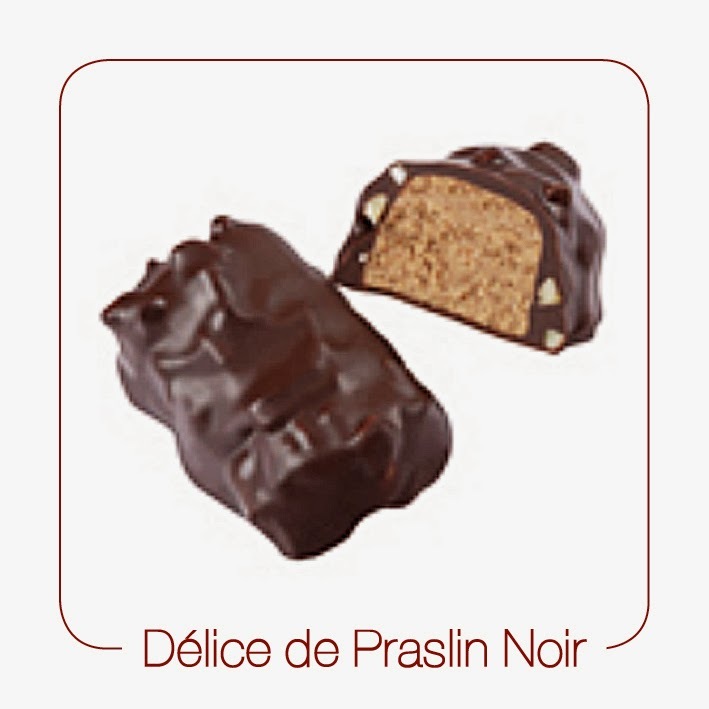 Almond praline and hazelnut puffed rice coated with milk chocolate - Similar in sweetness with escargot lait, but its puffed rice gave more texture. 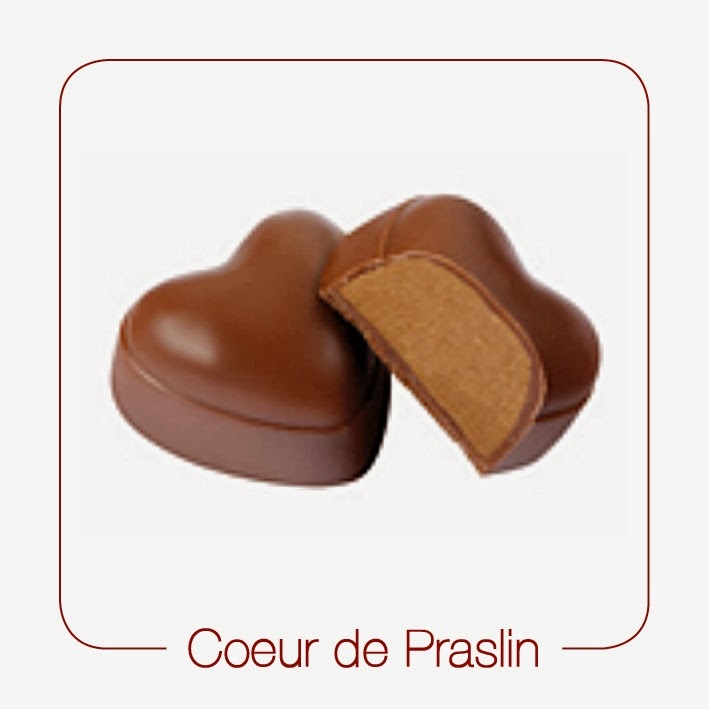 Toasted hazelnut and almond praline in a milk chocolate heart - Still the same kind with escargot lait, only different shape. A lovely love! Ganache with bitter cocoa in a black heart - My favorite one! This was the best from all 10 pieces in the box. 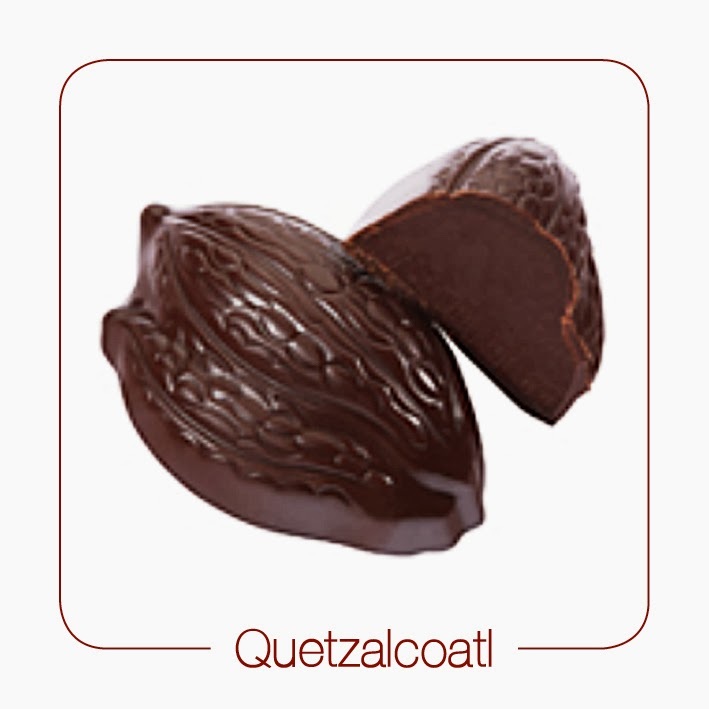 It was bitter, totally chocolate, and melted perfectly in my mouth. 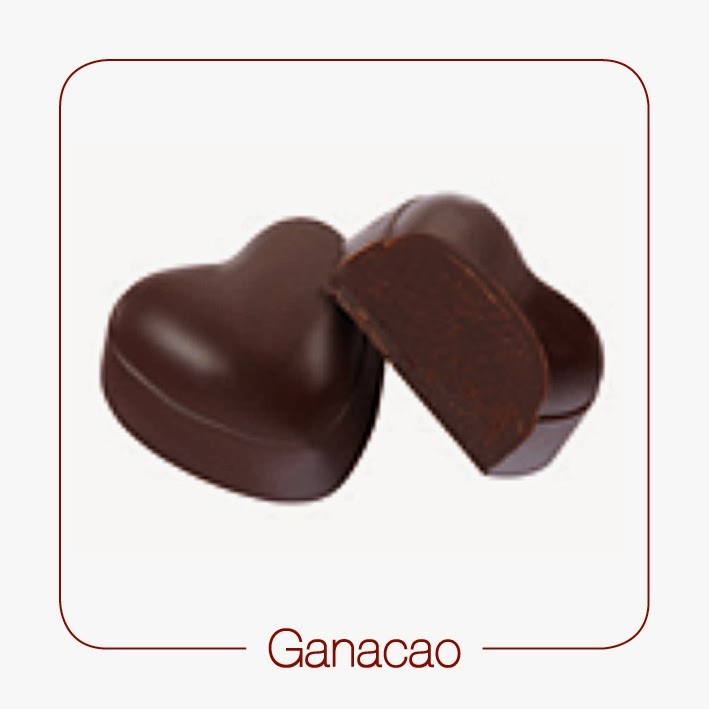 Pure cocoa ganache with bursts inclusions bean pod in a dark chocolate - Bean pod in chocolate filling? Well, it's new and interesting. The filling was not as bitter as ganacao, but I like it. 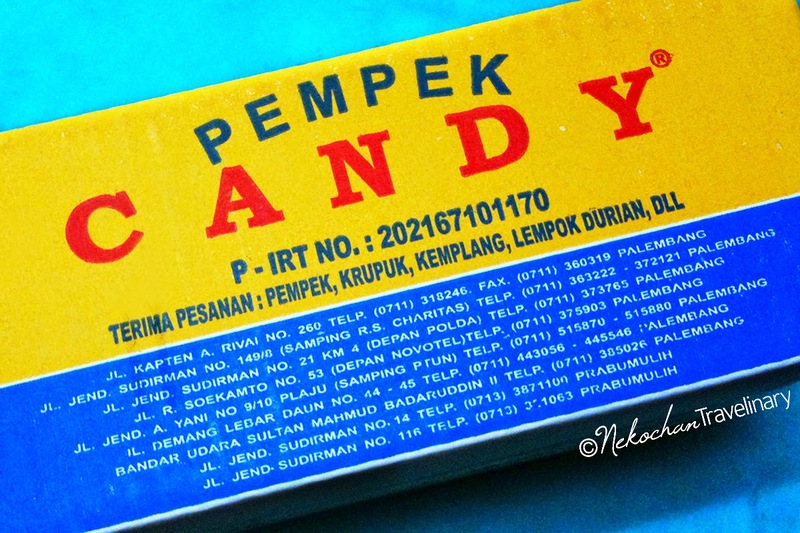 This was my 2nd favorite after ganacao. 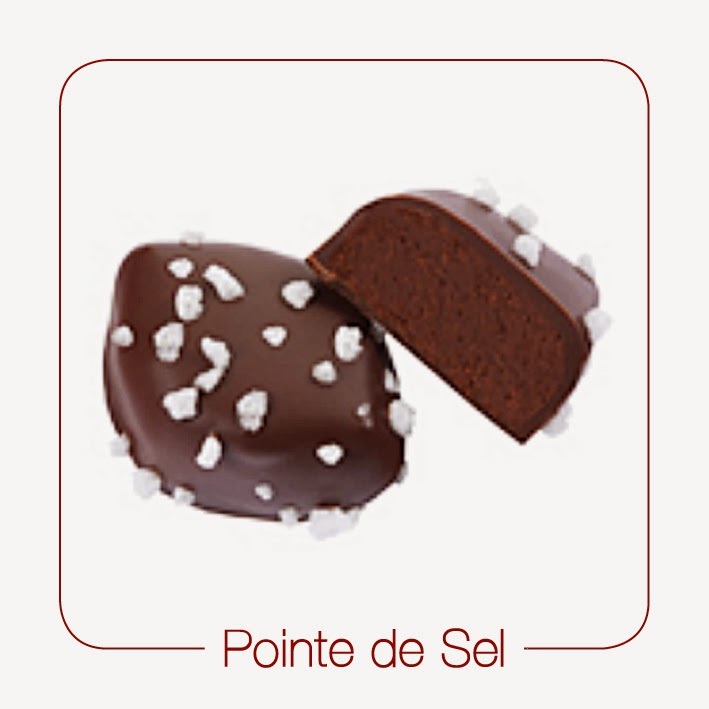 Ganache flower sea salt, enrobed in dark chocolate and decorated with sugar grains - A bit unique with a hint of salty taste in its filling, but it was balance with the dark chocolate shell and crunchy texture from sugar grains outside. That's all!! 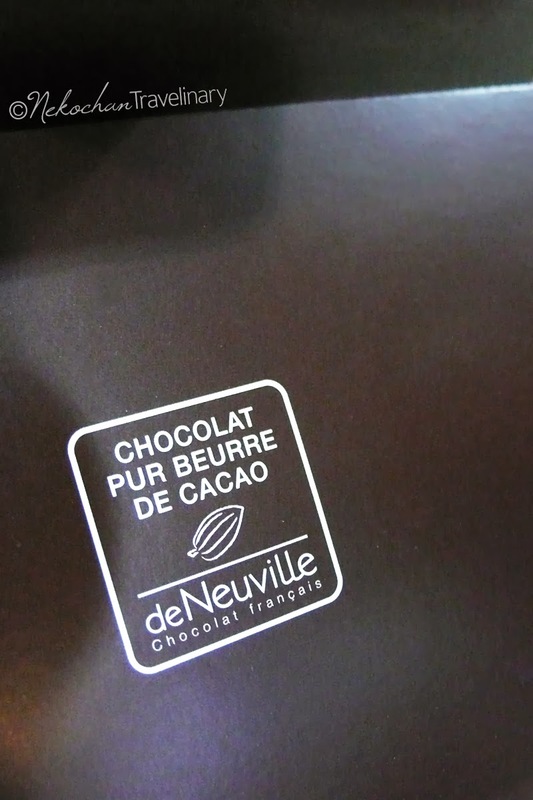 They were only 10 pieces, about a quarter from all of de Neuville collections. 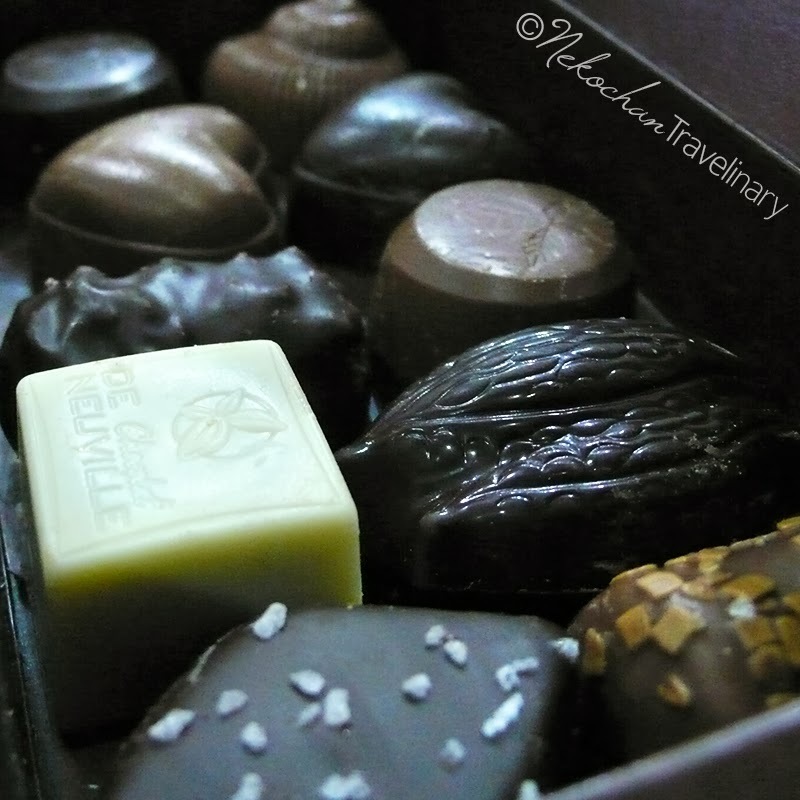 Hmm.. just wait 'till I can go to France by myself, I will buy them ALL!